Ranbuild has been engineering manufacturing and supplying premium quality steel sheds, garages, carports, farm sheds, light industrial and commercial buildings for 70 years. 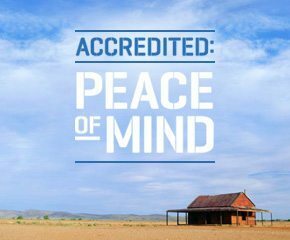 Our experience and expertise in prefabricated steel kit buildings has seen us become Australia’s leading brand for sheds in the residential, rural, equine and commercial markets. We have a passion for sheds, we live and breathe sheds and understand the unique place that sheds hold in our hearts. From the humble carport and single garage through to multi vehicle garages, expansive rural barns, machinery and hay sheds or sprawling light industrial and commercial complexes, we excel at engineering and manufacturing excellence in all its forms for prefabricated steel sheds. Ranbuild is fully owned by BlueScope Steel, Australia’s largest and most respected steel providers. This enables us to access and harness the latest technologies and product developments while adhering to sound and ethical business fundamentals to deliver you outstanding products and solutions. Our national Accredited Dealer network, many with onsite displays, gives you localised access to view our products first hand while offering support in every aspect of the design, manufacture, engineering, delivery and construction process. Our dealers are shed experts and will freely offer their knowledge and expertise to you for the ultimate shed solution. We use a highly sophisticated and integrated design, quoting, building order and data processing system so your quote, architectural drawings and detailed engineering drawings are done quickly and accurately so there are no hidden surprises on your quote or in your design. With inbuilt flexibility to fulfil custom designs or option up any of our shed range, our systems enable the production of accurate plans, comprehensive material lists and electronically places orders for manufacture without error or delay. Many ‘other’ shed suppliers suffer from limitations in one form or another. Whether it’s the scope and flexibility of the design, the addition of accessories, a compromise in materials quality or localised support. Ranbuild sheds are always optimised in design and engineered to leading industry standards using genuine Australian BlueScope and COLORBOND® steel. Short cuts are not an option when it comes to the safety, performance and whole of life expectation of a quality Ranbuild steel shed.